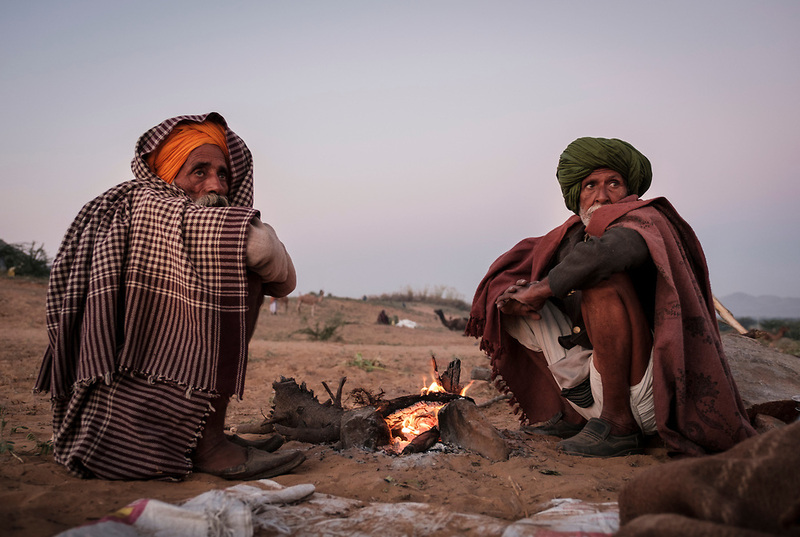 PUSHKAR, INDIA - CIRCA NOVEMBER 2016: Camel herders by a fire pit early morning in the Pushkar Camel Fair grounds. It is one of the world's largest camel fairs. Apart from the buying and selling of livestock, it has become an important tourist attraction.